Imagine a hot summer day, driving on a never-ending road - sounds good? Well, what if the air conditioner is not working? There goes the perfect day! 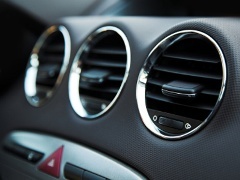 A car air conditioner is very important. One doesn't realize its importance until it stops working. Due to the technicalities involved, people tend to over look the air conditioner until it stops working altogether. Always, make it a point to refer to the car's manual. It has answers to most of your queries regarding your car. It will give you tips on how to maintain your air conditioner. Always, keep it in a place where you can easily find it, whenever needed. The manual is designed specifically for one car. The information it gives you cannot be found in other books or guides. When you get a car, make sure you get the manual. Take some time out to read it so that you have a general idea about your car and other things related to it. Excess moisture encourages the growth of fungi or molds. It's important to control the moisture level in your car. If you see any signs of extra dampness, clean it properly and stop using your air conditioner until you sort out the problem. The defrost system is very helpful in this regard as it can easily control the moisture. After running your air conditioner for one hour, activate the defrost system for 15 to 20 minutes to get rid of the moisture easily. A dirty air filter creates problems for the air conditioner. The air filter is very prone to dust; it can easily clog up the airway and lessen the impact of the air conditioner. In such a situation, the air filter must be cleared properly. It's something that is very easy to do and requires no special knowledge. You can without trouble take off the air filter and clean it using water and soap. Fix it back once it is dry. However, if you have trouble in taking it off, you can get help from the manual. Get the air filter replaced if it is broken or too dirty. It is important to maintain the coolant pressure. If you fail to do so, the air conditioner's hoses will harden up and the seals will be ruined. To maintain the coolant pressure, make it a habit to run the air conditioner at the fastest speed for 15-20 minutes. It is important to keep a balance and prevent the air conditioner from damage. You might consider yourself a professional, but the fact remains that you can never know your car as good as a mechanic or an automobile engineer. Visit a mechanic at least once a year, or whenever you have problems with the air conditioner, to get it inspected for any damage or repair. Expert opinion in this regard is highly required so that no further damage is done. The performance of your air conditioner depends a lot on the gas. If there isn't enough gas in the tank, the performance will be subdued. Always, get it filled from a trusted seller as substandard gas will not give you the same results. Leaks have a very horrific effect on the air conditioner. They not only adversely impact the performance, but also destroy the unit gradually. Pay attention to all the signs, especially the hoses, drainage holes and gasket seal. Check them for signs of wear and tear, and replace them if required. Keep your car in good condition. Make it a point to get it inspected whenever any issue is reported. Maintain the evaporator coils and the condenser fins. Also, use your AC for at least 10 minutes, every month, even during winters so that it doesn't stop working. Avoid parking your car directly under sunlight. It doesn't directly affect the unit, but the air conditioner's performance.